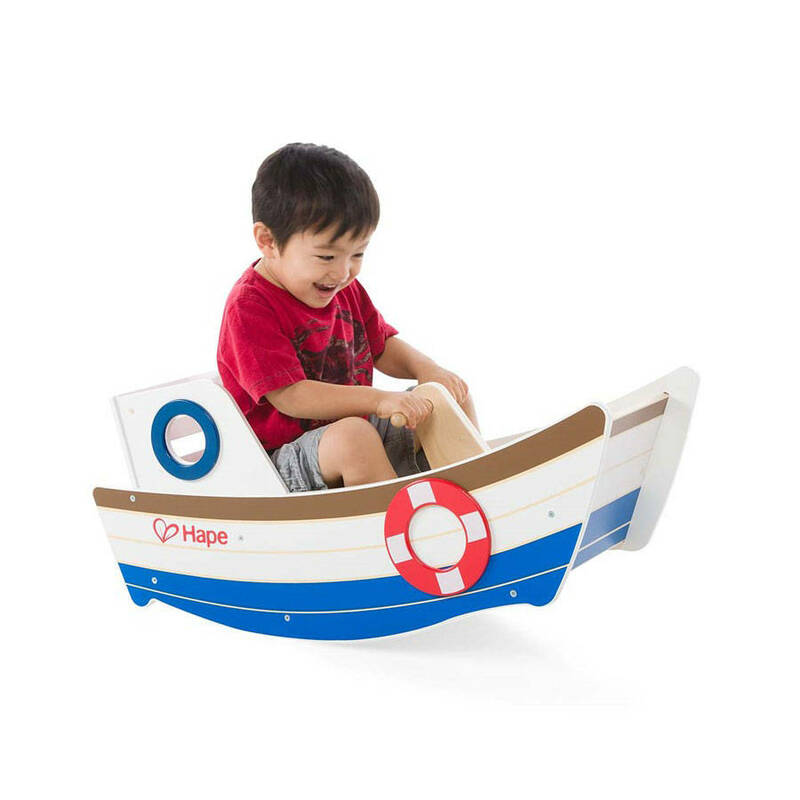 This beautiful wooden rocking boat is a lovely and unusual gift which will be enjoyed now and by future generations. A wonderfully made product which can be personalised to make it even more special (using hard wearing vinyl as paint is more likely to chip). 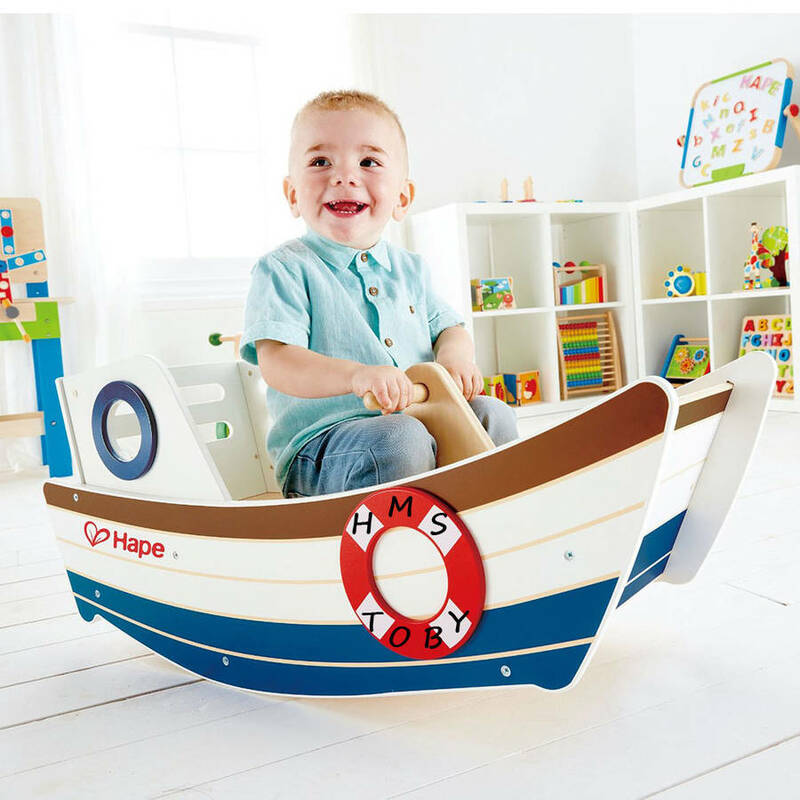 We hope you love this boat as much as we do! We now offer an assembly service for an additional charge of £25 - this includes the assembly charge and the extra postage, for a small charge extra, a bow can be added if the boat is being sent as a gift straight to the recipient. The height of the assembled Rocking Boat is 36.6cm, the length 81.4cm and the width 31.8cm. This product is dispatched to you by Oskar & Catie.